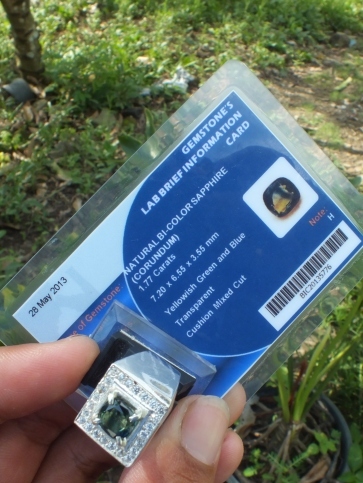 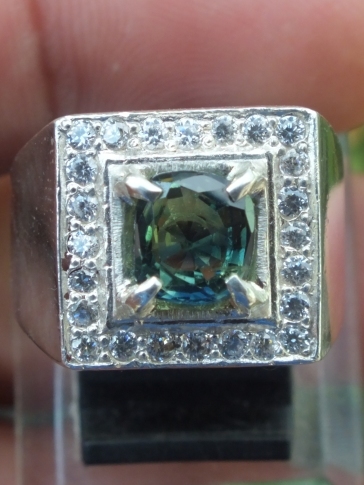 This is a very beautiful Natural Bi-Color Sapphire, color ranged from Green to Blue. This beautiful gems is already set on a 18mm Silver ring. 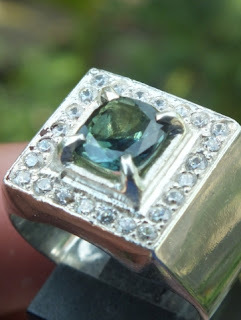 The size of the gems is 7,20mm x 6,5mm x 3,5mm. Price: Rp. 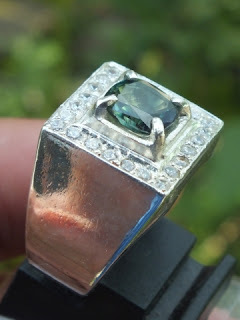 call / sms.. shipping cost is included for Indonesia delivery areas only! 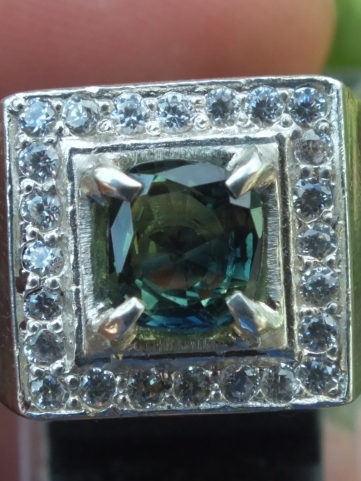 Get this beautiful green corundum now! Natural Green Sapphire!